These Pineapple Coconut Cheesecake Amish Friendship Bread Mini Muffins make the perfect afternoon snack or dinner side dish! Thanks to Kitchen Friend Cynthia Skelton for sharing this recipe with us. Kitchen Friend Cynthia Skelton found the perfect paring for this bread: These muffins were a hit for our Christmas get together and went great with ham biscuits. Everyone loved taking the extra muffins home. These Pineapple Coconut Cheesecake Amish Friendship Bread Mini Muffins make the perfect afternoon snack or dinner side dish! In a large mixing bowl add ingredients as listed. Grease 24 mini muffin cups and 1 loaf pan. Dust pans or tins with sugar and divide batter. 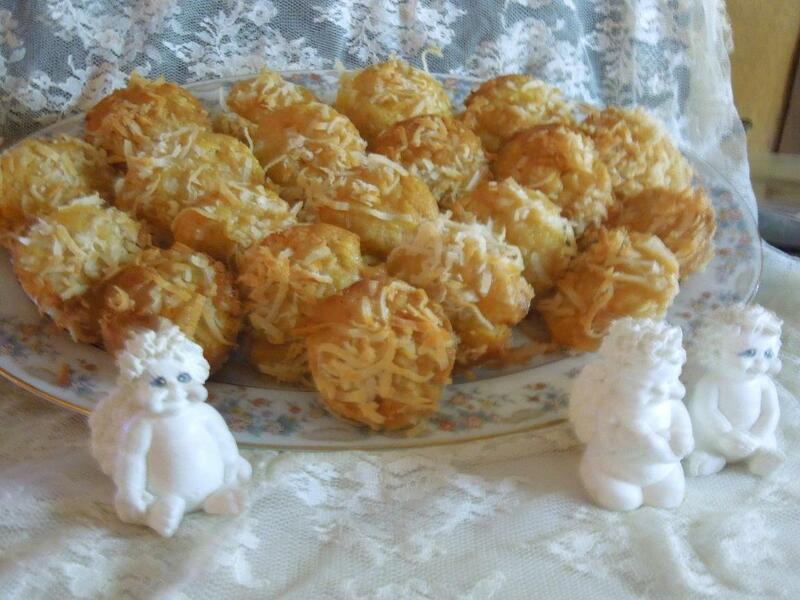 Top loaves or muffins with shredded coconut. Bake the mini muffins for 25 minutes or loaf pans for 1 hour until the bread loosens evenly from the sides and a toothpick inserted in the center of the bread comes out clean. Let he muffins sit in pan at least 5 minutes before removing. It’s a New Year — Tell Me About It!